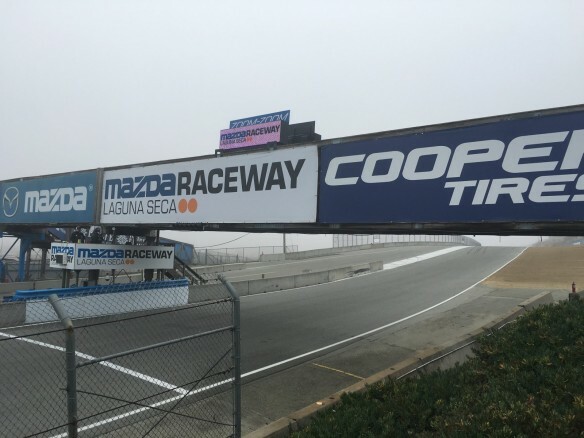 Sunday morning’s heavy dense coastal fog in Monterey delayed the start by two hours for the third and final day of the Mazda Road To Indy races at Mazda Raceway Laguna Seca. With practiced tweaking by the mob of involved Stewards, Race Officials and Track staff, the schedule was adjusted, keeping the announced order of races for the five series. The series retained most if not all of their promised track time, with the day slated to end 55 minutes late. Again the SFR SCCA volunteer race marshals gave up their lunch hour for another, now familiar, Grab and Go drill. The sun broke the fog at 11 am, with the help of a languid breeze. The temperatures were in the low sixties. 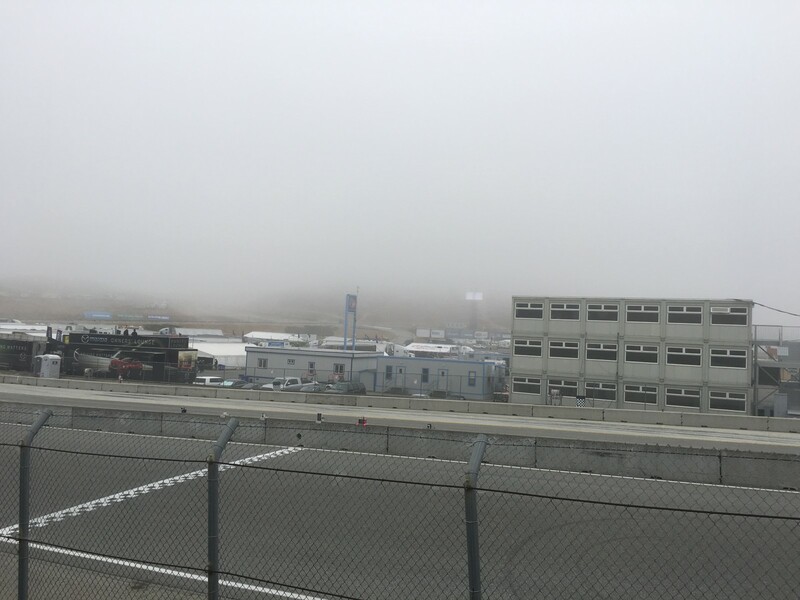 Sunday’s schedule called for seven races, with at least one race per series; and two series have two races, morning and afternoon. The races, in order, are: Pro Mazda Series Presented by Cooper Tires – Pro Mazda Grand Prix of Monterey Presented by Allied Building Products; IMSA Prototype Lites Presented by Cooper Tires; Global MX-5 Cup Invitational; Cooper Tires USF2000 Powered by Mazda – Cooper Tires Grand Prix of Monterey Powered by Mazda; Indy Lights Presented by Cooper Tires – Mazda Indy Lights Grand Prix of Monterey Presented by Cooper Tires; and then the second race of the day for Pro Mazda Championship and IMSA Prototype Lites. Now that’s a mouthful! One of the amazing things about this weekend is that there is such a plethora of young talent, drivers honing their skills and doing some incredible racing. All this talent and energy, which will develop and rise to higher levels. The sad thing, to me, is that the better they get and higher up they go, the fewer the chances become of getting a good ride. All dressed up and no place to go. Forty-two of the 82 drivers (mostly young and mostly male) are Americans, and the rest hail from 22 other countries far and wide. Let’s wish them luck and opportunities. This entry was posted in IMSA, Indy Lights, IndyCar, MAZDA MX-5, Mazda Pro Championship, Motor Sports, Pro Mazda, ROAD TO INDY, SCCA, Sports Cars, USF2000 by Lynne Huntting. Bookmark the permalink.